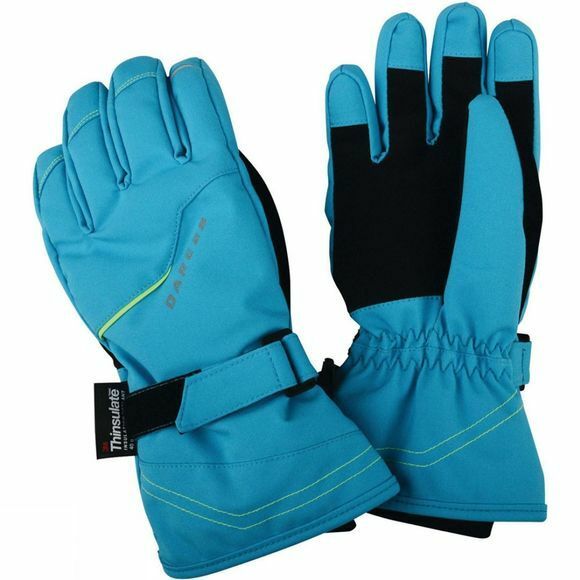 The Kid's Handful Glove from Dare 2b is a heavy duty, waterproof and breathable glove made to protect on the slopes. The Ared 5,000 coated fabric is packed with warming insulation and features a cosy Thinsulate liner. They have plenty of stretch and super grippy palms for holding onto ski lifts (and rolling snowballs).